How does a split stay at Disney World work (and is it worth the hassle)? 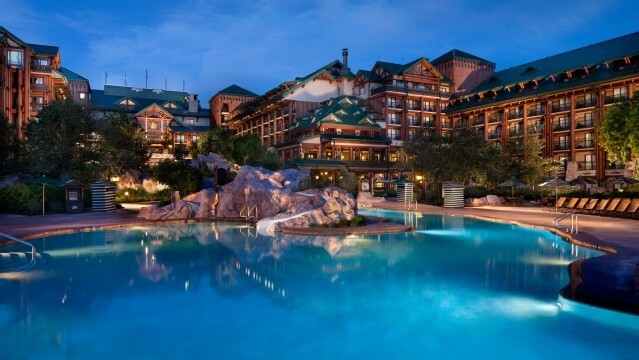 There are lots of reasons you might think about staying at a couple different resorts while on a trip to Disney World. Maybe you just can't decide between 2 resorts, or maybe your heart screams "POLY" while your budget screams "POP." Whatever the reason, a split stay at Disney World is a popular option for many families, but if you do it wrong you may wind up wasting money and causing yourself unnecessary headaches. So, before you decide to book one for your next trip, check out the info below to learn everything there is to know about how split stays work. 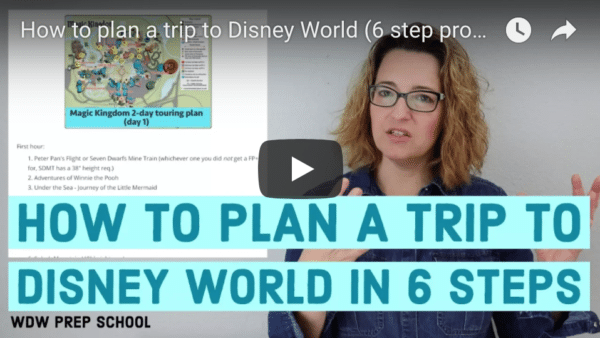 What is a split stay at Disney World? Why do people book split stays? What do split stays look like? Should you book a split stay as a room-only reservation OR as a package? How does the Dining Plan work with split stays? How do Dining Plan credits work with split stays? Which should come first: a Disney World Vacation Package OR a room-only reservation? What about picking up Vacation Package tickets early? Which should come first: onsite or offsite? What do you do with your bags on a split stay? How does Magical Express work with a split stay? Will my resort mug work for both stays? Don't feel embarrassed if you don't know what a split stay means. I will be the first to admit that I didn't when I first started planning trips to Disney World; it just wasn't a term I was familiar with back then. Truth be told, you can book a split stay anywhere you vacation; they just seem to be more prevalent for people traveling to Orlando. And, the term "split stay" isn't even necessarily the term Disney uses. It's just kind of what people started calling it and the name stuck. Simply put, a split stay means that you'll be splitting your vacation time at Disney World (or any destination) between 2 or more resorts at that destination. There are many different ways that can look, but if you are thinking about doing it, you'll definitely want to spend some time planning out your vacation or else you may find yourself in a pickle when it comes time to book FastPasses and Advanced Dining Reservations (ADRs). Even things like booking a Disney World Vacation Package vs. booking room-only reservations need to be thought through or else you'll wind up paying more than necessary. More on all of that below. They can't decide on 1 resort so they opt to book 2 (or more). They want to splurge on a more expensive resort for a few nights of their trip. The resort they wanted was only available for part of their trip. They are traveling to Disney World for a conference or convention and want to move to a different resort after that is over. They like to stay in resorts near the parks they are visiting, so they move resorts to accomplish that. Keep in mind that for every onsite reservation you make you'll have to pay a deposit. 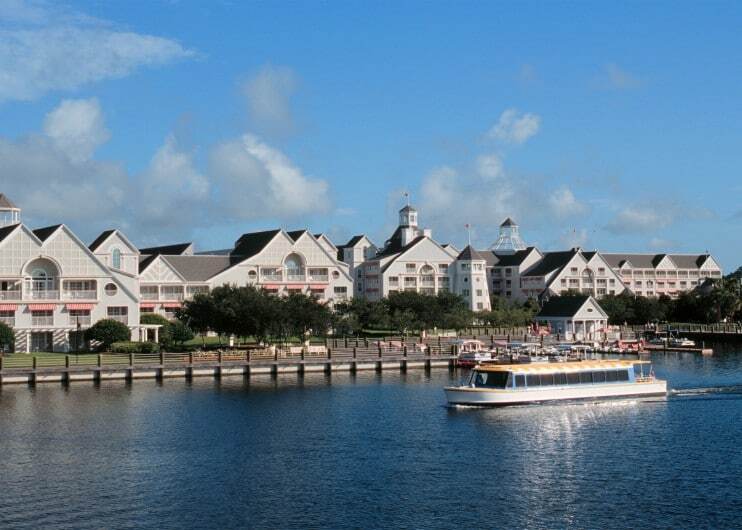 So if you're staying at 2 Disney World resorts, you'll pay 2 deposits. Want to try 3 different resorts? You guessed it: you'll pay 3 deposits. There isn't any way around paying multiple deposits, so keep that in mind when you are planning your trip. For every package you book (meaning you're booking room + tickets or room + tickets + Disney Dining Plan), you'll pay $200. And for every room-only reservation, you'll be paying the first night's room rate. Note: if part of your split stay will be offsite, be sure you confirm the deposit policy with that hotel/resort before booking. The most simple way to do a split stay is to book 2 (or more) room-only reservations at a Disney Resort and then purchase and link your tickets to your My Disney Experience account separately. Things get a little bit trickier when you are booking packages. It can be done, but booking things in the wrong order is the most common way people wind up paying more (sometimes a LOT more) than they needed to. Disney tickets expire 14 days after you first use them, so as long as your trip is 14 days or less you'll only need to purchase 1 ticket per person. Disney prices their tickets so that the cost per day dramatically decreases the longer the ticket length. For example, say you are planning to go to the parks a total of 6 days over your vacation. With tax, two separate 3-day Adult Magic Your Way Base Tickets will cost you $692.26 but one 6-Day Adult Magic Your Way Base Ticket will $452.63. That is a difference of nearly $240 for each person in your party! No matter the length of your stay, you can book up to a 10-Day Magic Your Way ticket with your package. So, to keep from overpaying, when planning a split stay where you will be purchasing your tickets with a package, make sure you buy enough days to cover your entire trip with your first reservation. If you decide to cancel your trip, as long as you are outside of the current cancellation window you won't lose any money. You aren't able to shop around for any discounts on your tickets. If you plan to book a room-only reservation first - unless you are traveling with an Annual Pass - you will need to purchase your tickets separately and link them to your My Disney Experience account. And, just like with a package, you'll want to make sure the tickets you purchase have enough days on it to cover all parts of your group's split stay. If you are staying onsite for any of your split stay, that means you'll need to have your Disney World tickets purchased and linked no later than 60 days before your first onsite check-in date. You are able to purchase your tickets from any of a number of reputable sources (which may save you some money). Tickets purchased outside of a package are non-refundable if you need to cancel your trip. Most people think that they have to purchase tickets in order to book the Dining Plan but, in most cases, that isn't totally correct. While it is true that you can't book a ticketless package with the Disney Dining Plan online, you CAN do it by phone. Keep in mind that some promotions (like Free Dining) have rules that mandate the purchasing of tickets, but outside of those, any guest can book a ticketless package with the Disney Dining Plan by calling Disney directly to book. Thinking about booking with a travel agent? They can book a ticketless package for you, too. If you are planning on purchasing the Dining Plan, make sure you don't accidentally spend more than necessary by purchasing tickets that you don't need. Split stays are treated as 2 totally separate reservations. They aren't linked at all, so that means your Dining Plan credits won't carry over from the first reservation to the second. 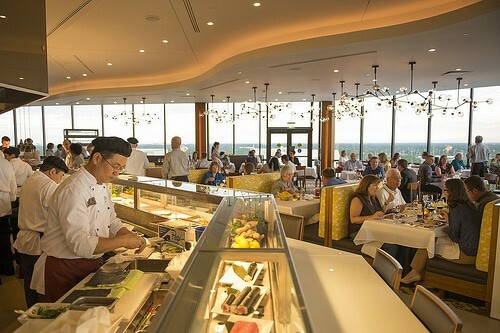 Disney Dining Plan credits expire at midnight on the night you check out of your resort, so you can't save credits from one reservation and have them carry over to the next. You can't access any new Dining Plan credits UNTIL you have used up all your credits from a previous reservation or until your original credits have expired, which for a split stay, would mean midnight of your check-out/check-in date. If your split stay is only onsite, it really doesn't matter if a Vacation Package comes first OR a room-only reservation comes first UNLESS you are booking a promotion (like Free Dining) that requires you purchase a ticket. In that case you should always, always, always book the Vacation Package first; otherwise, you won't have access to your tickets until you check-in for your Vacation Package reservation. The only way you'll be able to make FastPass+ reservations for the days before your Disney World Vacation Package starts will be after your tickets are activated WHICH you can only do in person at Guest Relations. Therefore, you won't be able to make FastPasses 60 days out for any days before your package officially begins. Being able to pick up your tickets early isn't something that is guaranteed. Disney changes policies and procedures often, so there is always a possibility they change that one, and if you are counting on being able to do it and then they change the policy you might be out of luck. Sometimes when people fly into Orlando, they get in super late and opt to stay at a hotel close to the airport to save some money (and time) that first night. We don't really think of that as a "split stay" since you are truly just using that 1 night to sleep. But if you are planning on staying multiple nights of your vacation in a hotel or vacation rental offsite AND you are planning to go to Disney World during both parts of your trip, you should always put the offsite nights at the end of your trip. Otherwise, you'll only be able to make FastPass+ reservations for that portion of your trip 30 days out. If, however, you stay onsite during the first part of your split stay, you'll be able to make all your FastPass+ reservations for the onsite portion of your stay at 60 days out BUT then you'll also be able to make your FastPass+ reservations for the offsite portion of your trip at exactly 60 days out, one day at a time, from each day you want to make FastPass+ reservations. To maximize your FastPass+ booking window, the first part of any split stay should always be onsite. While you are on your split stay, what to do with your bags is one of the biggest logistical hurdles you'll need to deal with. Fortunately, Disney makes it relatively easy to get your bags where they need to be, but that doesn't mean it is totally hassle free. To use Bell Services, you either take your bags down to the desk or call and have Bell Services come to pick them up from your room, and then they handle moving the bags to the next resort. Pros: This is the most hands off way to handle the transfer. Cons: While the service is free, you will need to tip the Cast Members that handle your bags and your bags may take awhile to arrive to the next resort. Also, in most cases, when you get to your next resort you will need to call Bell Services there to ask for your bags to be delivered (which means more waiting). We only recommend that you use this option if you have a car at Disney World or if you don't mind paying for an Uber, taxi, or Minnie Van. On the morning of your check-out/check in, just load up your bags yourself and head over to the next resort. When you arrive you can drop your bags off at Bell Services there (if your room isn't ready). Anxious to get to the parks? If you don't have time to transfer your bags before you head out for the day you can drop your bags off at Bell Services at your first resort and then pick them back up before you head over to your new resort. Pros: You have more control over when you see your bags next (you don't have to worry about waiting for them to be delivered). Cons: If you have lots of stuff plus lots of people, it can be a hassle to navigate with everything. Remember how up above we said that Disney doesn't link multiple reservations together when you are doing a split stay? That means that for every reservation you have at a Disney resort, you'll be asked to customize MagicBands. You do have the option to "decline" a set of bands, but it may be better to go ahead and get them both. While MagicBands are, well, magical, sometimes things can be a tiny bit glitchy. Even though your MagicBands are all linked to you under your My Disney Experience account, sometimes the system will only allow the MagicBand that was issued for that resort reservation to open your door (it won't let you use an old band without some work). Now this doesn't happen very often (and tends to happen more with people that have multiple bands assigned to them) and it can usually be fixed with a stop at the front desk, BUT it seems like these issues always pop up at the most inopportune time (like at 10 pm when you're trying to get a sleeping child into bed). We recommend that you always test everybody's MagicBands whenever you arrive on any trip to make sure they all open the door, especially when you have a split stay. You can still use Magical Express if doing a split stay. But, you'll have a different reservation number for each portion (if you are staying onsite for the entire time) OR you'll only be able to use it one direction (if starting or ending your split stay offsite). Sometimes people who are doing an onsite followed by offsite split stay ask if they can take a taxi back to the Disney resort where they stayed for the first part of their trip and then use Magical Express to get back to the airport. But that won't work. The only days you can use Magical Express are the day you check into a Disney resort and the day you check out of a Disney resort. The refillable mugs at Disney World are good for 14 days. So if your split stay totals 14 days or less, you'll be able to use it for both portions of your trip, regardless of if you purchased it OR if it came with the Disney Dining Plan. There you go! That's just about everything there is to know about how to do a split stay at Disney World. Is there a question we didn't answer above? Feel free to ask it in the comments. 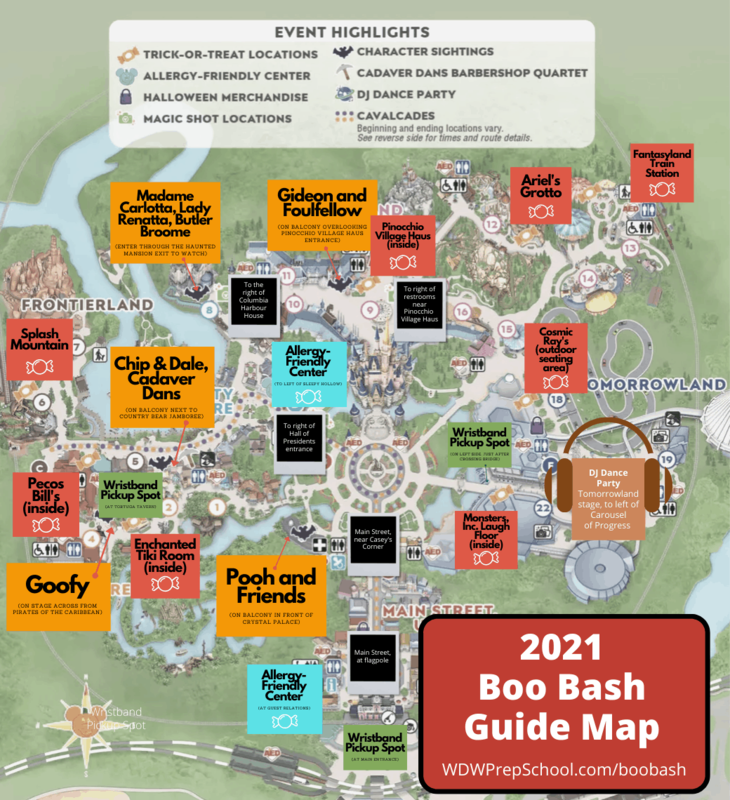 What is Disney Club Level? And how do you buy FastPasses? We’re planning on staying at a value resort for the 1st night of our vacation, and then 7 more days at another resort (we added another day, and couldn’t get reasonable reservations that 1st night). Are we able to get fastpasses 60 days out from the reservation at the 1st resort for all of our resort days, or will we need to wait until 60 days out from the 2nd resort to book those? Hi Shannon, and team! We’re just starting to plan our next WDW trip. We’re looking on traveling sometime between 12/2019-4/2020. When do you normally issue the crowd calendar for the future year? Your crowd calendar is so very helpful and use it and your website for all of our Disney questions. I know we just started 2019 but the sooner we nail down a date the sooner we can get started making plans. 😍 Thank You so much for all that you all do to make our Disney experience magical!! Great tips here! First time to Disney with the Fam in March ‘19 and we’re triple splitting! 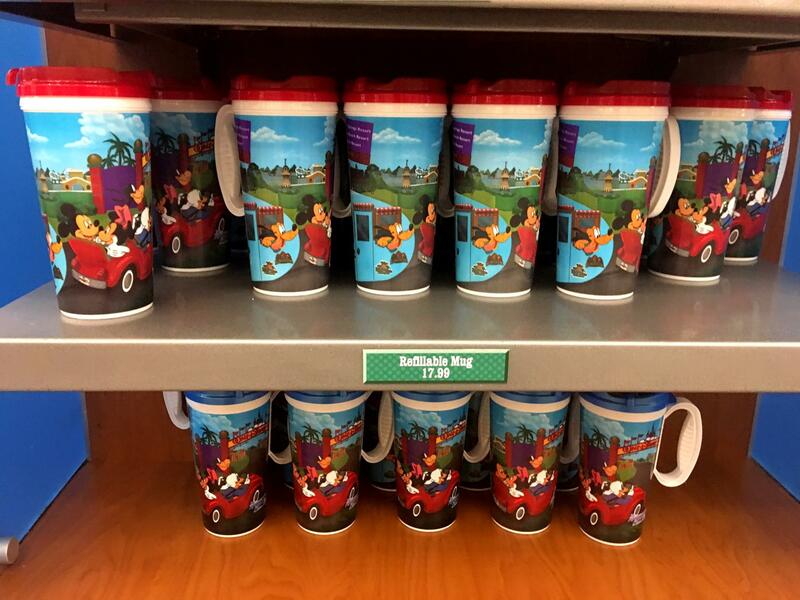 Art of Animation (for Cars!) to Animal Kingdom Lodge (animals!) to Beach Club (for that sick pool). Your tips on packaging up the first resort (AoA) were great. We just room only-ed the other two. Have to call Disney to firm up the glitches and hopefully nothing too bad will pop up as we plan to Minnie Van our bags over to the new resorts each time and hop in the pool. Also plan to make changeover days our “resort days” to lessen hassle. Thanks for all the great tips and videos. Great article! Wish I would have seen it prior to my last Disney trip with our Split visit (10/2017). Fortunately, according to this article, I did it correctly (yay)!! My parent’s joined us for the 2nd 1/2 of the trip and for some reason seemed like a good idea to get a cabin from a regular room…it was seamless getting our belongings and children handled with the Bell Service and their delivery, IMO, totally worth it over moving it yourself. Disney does a great job if someone really wants to stay at more than one resort I recommend that. However, looking back, I personally am not sure it was worth it, and will avoid split visits in the future. Hi! I have a funny thing happening with a package I booked (Fall Into Magic is a package Disney offered Sept 3 – 8 with special events included). I added a resort only reservation for Sept 2 and another one for Sept 9 to extend our stay. Our tickets are part of the Fall Into Magic package starting on the 3rd, but I upgraded them to 7 day tickets. I can’t book any fastpasses for Sept 2 when I have the resort only reservation the day before the package begins. Disney hasn’t been able to help. Any suggestions? Thanks! Hi— we want to do a spilt stay on either end of our Disney Cruise. — will we be able to make ADRs and FP+ reservations based on the first day of our first stay or will we have 2 first booking days? (We are doing room only reservations) Also would the RFID resort cups still work for the whole stay even though we have a 4 day break in the middle? ( total is still under 14days) Thanks! We have a split reservation next month but at the same resort. We are DVC members and booked 4 nights with points and 2 nights with cash, needs to be a separate reservation, even though consecutive stay. I don’t know why these can’t be one reservation with different payments. Tickets were not an issue as annual pass and was surprised we could book fast passes altogether as with previous split stay we couldn’t. I have done split stays with different resorts which two reservations make sense. Only time we had an issue was a move from GFV to BLT as we had a 2 year old who needed a nap and room was not ready until after 5pm. But I think split stays can be a good option. Hi Shannon! Thanks so much for the info. I have a split stay coming up in May and I’m wondering about our transfer date specifically. We will be checking out of Pop and into Poly on May 8th…Will I be able to make an ADR for that day when my 180 days opens up on my first reservation? Thanks so much! If you’re doing a split stay (both onsite), do you book fast passes twice? 60 days out from check-in day at each resort? As long as your tickets are long enough for your whole trip, you can book up to 10 days worth of FastPass+ reservations 60 days before your first check in. We are staying for 15 days and buying 10 day tickets, we will have break days in between. Will I be able to make all my FastPass+ at the 60 day mark? You should be able to make reservations for your arrival date + 10 days from that date, so you won’t be able to do the whole 15 days at once. Question about the magic bands… How does the fast passes work? Will they be linked to both magic bands, and the current activated one will have the info for that day? What about our check out/check in day? Which band will we use for the day? Question 2: we only purchased the dining plan for our 2nd stay (1st stay is just one night). When will we have access to those dining credits? We really love your site, it has helped us plan both of our Walt Disney trips, the first being 3 years ago, and now again!! Really appreciate it! !